5, 10, 20, 25, 50 Ltrs packing available. Corrosion inhibitor especially designed to inhibit the attack of hydrochloric acid and steel during industrial cleaning operations. It also inhibits acid attack on copper and brass. It does not contain arsenic, chlorinated hydrocarbons, or lead compounds. 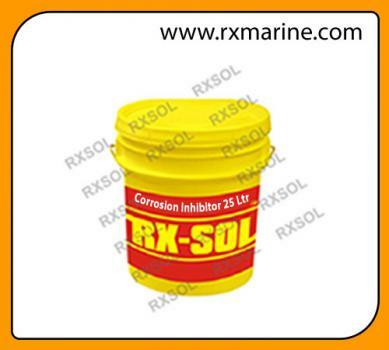 Acid corrosion Inhibitor RXSOL-16-1047-025 supplier in Mumbai, Surat, Gandhidham - Kandla, Chennai - Ennore, Visakhapatnam - Gangavaram, Kolkata - Haldia, Fujairah - Dubai - Sharjah Middle East UAE.